Despite Sony claiming that the entire PSOne catalogue will work on the PS Vita at E3 early last month, its more likely that the catalogue will start small, and evolve over time. A bit like what we’ve already seen with PSOne titles on the PSP. 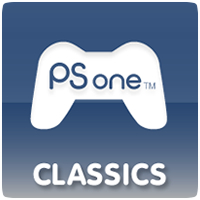 Sony Japan has confirmed in a Press Release that PSOne Classics will be coming to the PS Vita in Firmware v1.80. The firmware update will be released at some point this summer, but a exact release date was not revealed. The PS Vita is currently on Firmware v1.69, so it’s expected that firmware v1.70 will be skipped in favour of v1.80. With only a few days to go until the end of June, this rumor is a bit of a stretch, but worth mentioning anyway. According to an “anonymous source,” a firmware update for the PS Vita will be released in the next few days that will enable PSOne Classics to be played on the PS Vita. At E3 2012, Sony has a PlayStation Vita loaded with seven playable PSOne Classic titles, including Final Fantasy VII, Wild Arms and Tomb Raider. 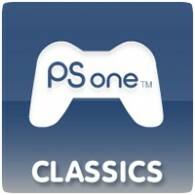 A Sony Rep claims that every game currently available title in the PSone Classics catalog will be available for play on Vita with no exceptions. 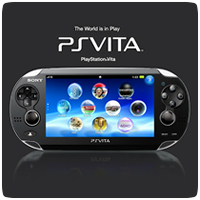 What Happened to the PlayStation Vita at Sony’s E3 Press Conference? Despite Sony’s E3 Press Conference supposedly focusing on the new portable console, there was very few PlayStation Vita related announcements. The PS Vita didn’t have its own showcase of games or focus during the press conference. A handful of PS Vita games were announced, including Call of Duty: Black Ops Declassified and Assassin’s Creed III: Liberation. Technically, the PlayStation Vita should have been released with PSOne Classics compatibility, but Sony was making sure the PSP back catalogue and more of the Minis library were fully functional. In any case, Sony did promise the features, and it looks like the functionality isn’t too far off.